As major quakes have dropped off the cliff edge in 2017 with the lowest amount in decades, scientists are concerned of two swarms of quakes under two super volcanoes in the US. Scientists have noticed an increase in earthquakes at Loihi, suggesting the underwater volcano has been active for some time. The Hawaii Volcano Observatory has calculated more than 50 tremors in June alone at Loihi, compared to the average once-a-month occurrence the last couple of years. The most recent confirmed eruption occurred in 1996, during a wave of intensive seismic activity. Thousands of earthquakes shook the region, including a dozen over a 4.5 magnitude. Despite the increase in activity, experts at the observatory suggest Loihi remains a low-threat volcano because it peaks at more than a mile underwater. Because of its location, there are currently no seismic stations near Loihi. 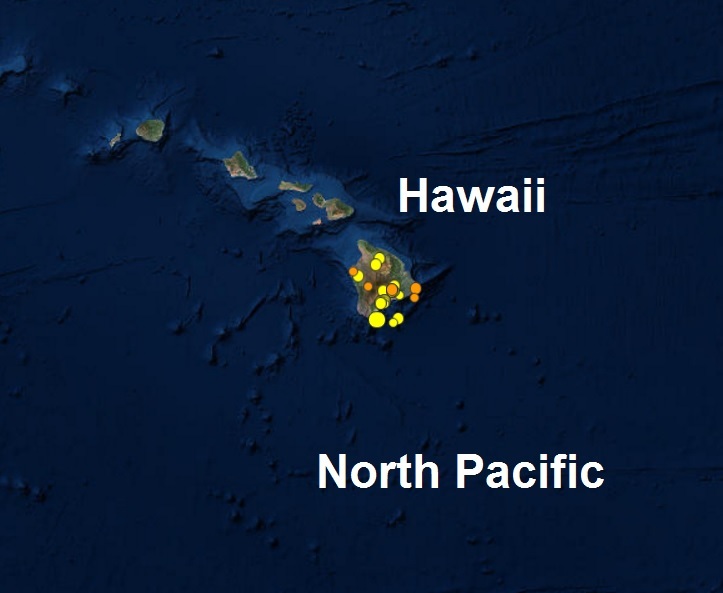 Activity has been tracked from land-based stations, which is not as accurate as measurements from neighboring volcanoes like Mauna Loa. According to HVO, earthquake activity alone does not conclusively indicate Loihi's volcanic activity; however, researchers have used maps and underwater fragment collections to confirm magma movement and possible eruptions. Last week Yellowstone Supervolcano was hit with a second cluster of quakes with more than 450 in 7 days, the biggest being mag 4.5. 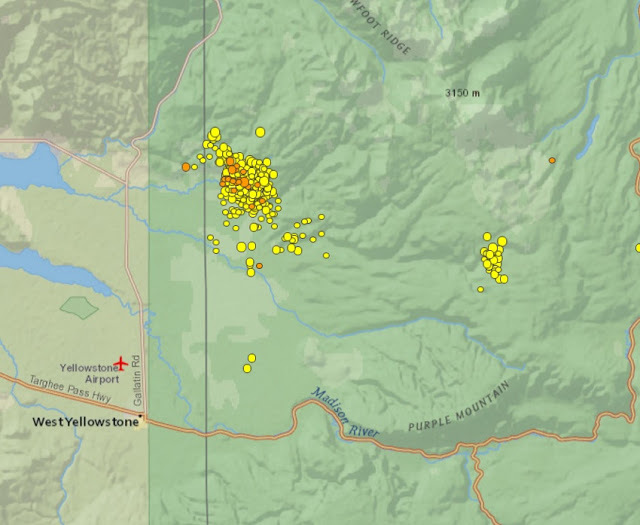 The cluster of quakes in Yellowstone Park was hit with a second cluster as over 450 small and mid level quakes were recorded in the famous park. 26 of the quakes have been above magnitude 2.5 with the biggest being magnitude 4.5. The supervolcano has been rumbling with a series of more than 450 recorded since June 14th. The magnitude 4.5 was the biggest quake at the super volcano since 2014.